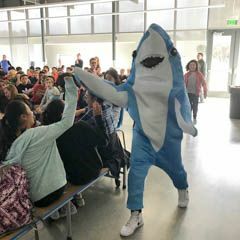 Middle Schoolers are brimming with energy and exuberance. Their curiosity is contagious. They have a deep sense of wonder and are excited for this journey to the future. 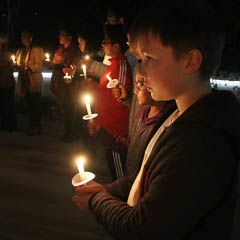 By giving them a space of their very own, we encourage Middle Schoolers to be themselves. We understand that in sixth, seventh, and eighth grades, the best learning happens when students’ social and emotional needs are being met. 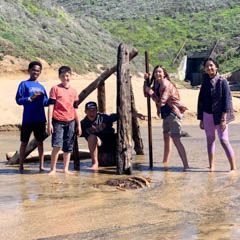 The CSUS Middle School team develops curriculum and experiences designed for a middle school student, allowing them to forge a deeper understanding of subject content and greater engagement with their peers and teachers. 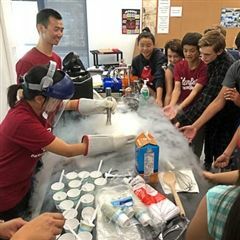 From an egg drop and Rube Goldberg Machine Contest to learning about inertia and energy transfer, our approach to learning enhances our students’ natural curiosity. 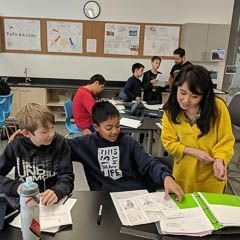 The team of Middle School teachers works to develop both subject-specific content knowledge while also teaching fundamental study and organization skills. 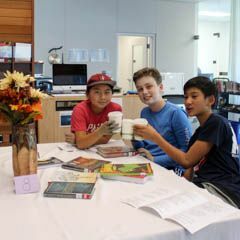 The Middle School program encourages students to explore all the academic disciplines. In this way, the scientist discovers a passion for French and the historian masters the quadratic formula. After three years in the middle school, our students are fully prepared for the challenges of high school. 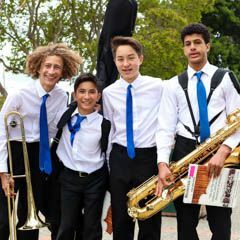 At Crystal, the middle school schedule allows students to be scholars, athletes and artists. 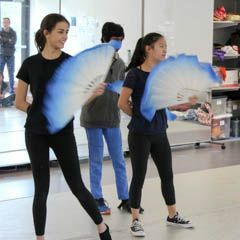 We not only encourage students to delve into all three realms, we require them to do so through the fine arts rotation program and the athletics/PE period which is built into the school day. Our students discover that they are capable of learning and achieving more than they ever imagined. They discover they can be a star on the stage and a star athlete as well. With a 1:1 iPad program and mobile laptop carts, our students have access to powerful learning tools. Our faculty work with the Technology Integrator to use these devices as a platform for innovation in each discipline. 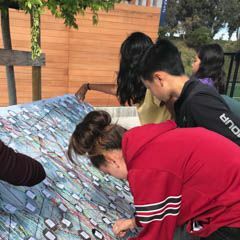 Crystal middle schoolers (and teachers) had a Silicon-Valley-worthy morning on December 7 as they coded up a storm. 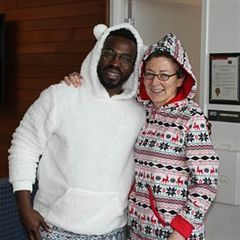 While the rest of the world participated in Hour of Code, students sipped hot chocolate while clad in cuddly PJ's for an hour of Cozy Coding. Our Crystal coders are well on their way to becoming the Valley's next generation of engineers. 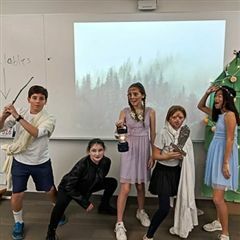 As a capstone to reading A Midsummer Night's Dream, 7th grade English students plan, memorize, rehearse, and act out a scene from the play in small groups. 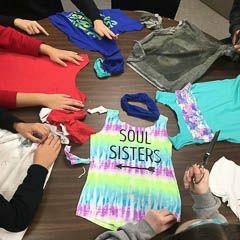 Using recycled and/or recyclable materials from the middle school IRC (Information Resource Center), they design and craft costumes, props, and sets. 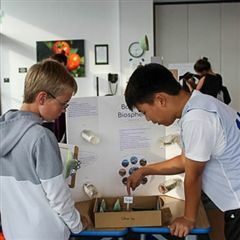 Sixth grade scientists stepped into the shoes of a biologist, geologist, hydrologist or atmospheric scientist and used models to communicate expert information to their peers. Their goal is to construct a collective understanding of how the parts of Earth function as a system. Under the leadership of music teacher Danna Mitchell-Carter, the MS Band took first place at the Music in the Parks Festival with a Superior rating in their division ("A" division for schools with 750 students or fewer). They also received the first place overall award for all concert bands with a Superior rating. 6th grade Drama Students in "The Sneetches"
Crystal's 6th grade drama students have been rehearsing a comedic reenactment of Dr. Seuss’s famous book, adapted by Michelle Berti, the Middle School’s drama teacher. 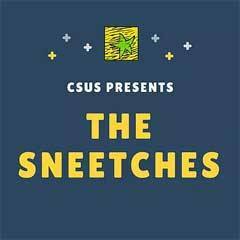 The Sneetches is a lighthearted production that features themes and morals that teach the power of equality and kindness. While 8th graders explore Quebec and Nicaragua, the 6th and 7th graders get to experience SHARQ week. Previously known as PoP week, SHARQ (Students Have a Real Question) week is five action-packed days of deep learning, team-building, design thinking challenges, adventures off-campus, and lots of Gryphon-style fun. 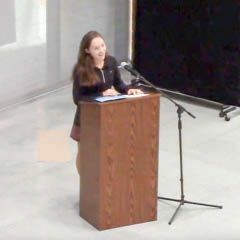 As part of their leadership experience in the Middle School, 8th graders give a single five-minute, theme-based “Hall” or speech to the assembled community in Expansion Hall, at some point during their final year of Middle School. Students can choose their topic, based upon the a few themes. Celebrating Scholarship is one of Crystal's Core Values and often manifests in unique ways. 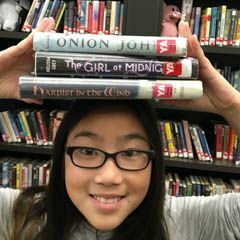 Middle School Librarian, Amy Geriak, is a beacon of creativity who makes learning whimsical in the Information Resource Center (IRC) with different mash-ups of making, interacting and imagining. Click headline to read more. Class began with "Write Now" during which students described a few of their favorite things and explained their reasoning for each. Next, students crafted creative representations of themselves through these favorite things, or personal artifacts.